THE number of girls playing rugby in Wales has increased from 170 to about 10,000 in just three years. That is the claim in a recent BBC News report (Mar 10, 2018). The sport is going from strength to strength as more and more women’s teams are formed and they have the full backing of the WRU. The increase could be attributed in part to the WRU who launched a campaign in 2015 to attract young females to the sport. 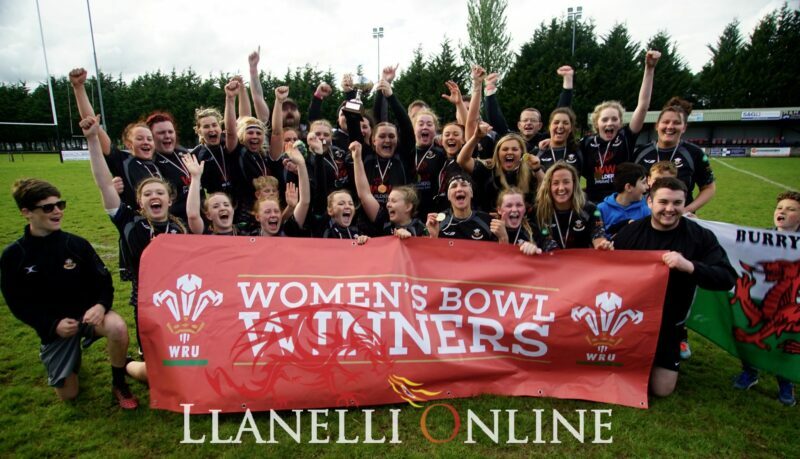 Burry Port RFC Women were established in 2015 and have since have risen through the ranks to claim the WRU Women’s Bowl trophy in May 2017. They now compete in the WRU Division 1 National Women’s League, where there are eight teams fighting to claim the championship. 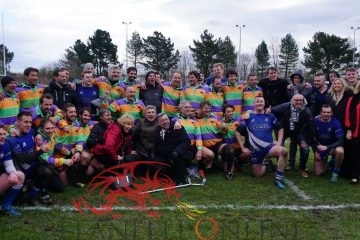 The success is down to the effort of all involved at the club including the junior and men’s teams who show their support for the ‘Lady Blacks’, as they are also known. Many aspects of the women’s game are improving as a spokesperson for the Burry Port players told us in a recent interview. Llinos Rees was the team’s captain who helped the side to victory in the WRU Women’s Bowl competition. 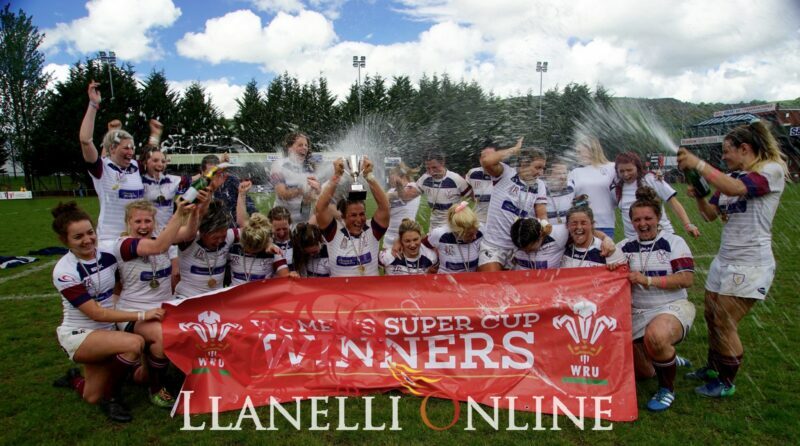 Speaking to Llanelli Online recently she said: “We seem to be getting new girls and fresh faces joining the sport. Initially we struggled to get girls/ladies to join because they feared it was a tough sport and the fact that they didn’t want to get hurt. As a result, the message to the ladies was to try a training session out and see how it went. Usually most of the ladies said they enjoyed that they were looking forward to attending the following week. “More and more ladies are turning out to get involved and attending regular sessions. 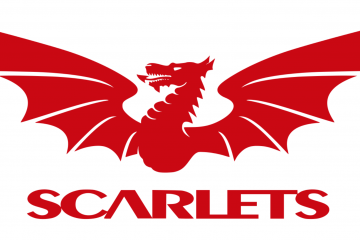 All four regions within Wales; the Scarlets, Ospreys, Dragons and the Blues all have a women’s section and under 18’s team now. Pontarddulais Women’s RFC are another team in the Llanelli region, and they also compete in Division 2 of the WRU National Women’s League 2018-19. 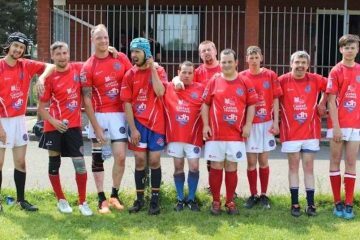 In Tumble, Y Piod Pinc, as they are formally known as, is a women’s rugby team who compete in Division 2 of the WRU National Women’s League. 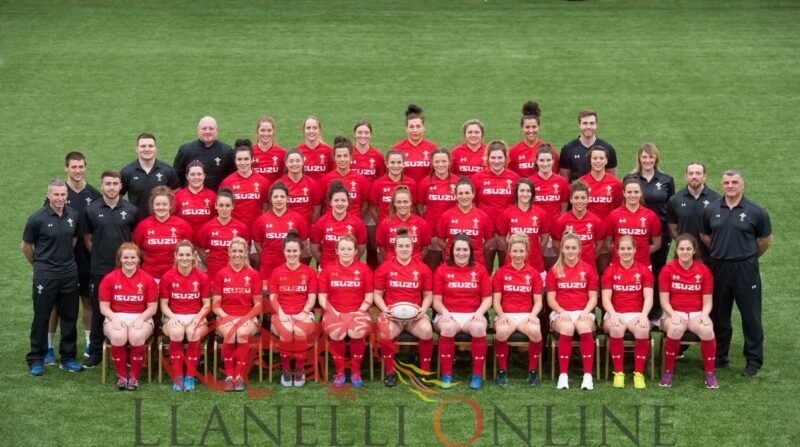 A number of the women who represent their local clubs have gone on to play for the Wales Women’s side. This week Sioned Harries, the forwards coach for Y Piod Pinc was selected to play for Wales women and will play in the game against South Africa women on Saturday 10th November. 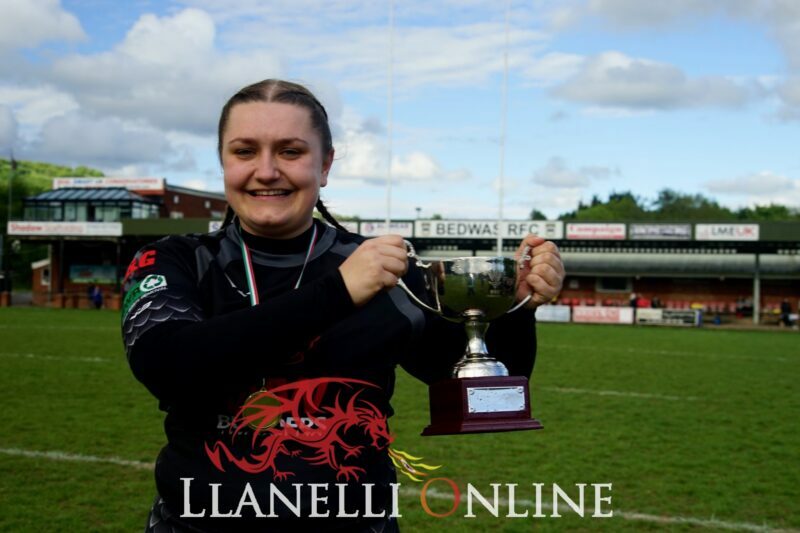 Llanelli’s Jade Knight was also selected to play for Wales Women and Llanelli Online met up with Jade for an interview you can read here. If you would like to join any of the clubs you can contact them via their websites. If you want to go and watch some women’s rugby, Tumble face Morriston Women RFC on Sunday (Nov 11). 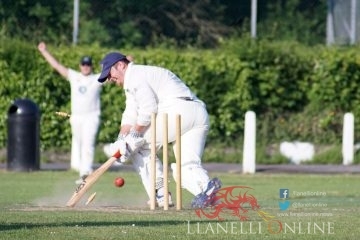 Morriston sit just above them in second place in the standings so it should be a great game. Pontarddulais are away to Taffs Well Women on Sunday (Nov 11) in a bottom of the table crunch match. Burry Port Ladies have a home league fixture against Haverfordwest Women’s RFC on Sunday (Nov 11). 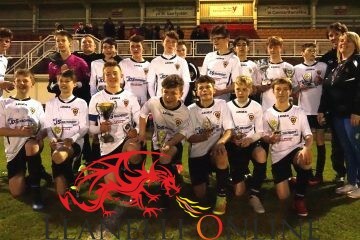 They currently sit fourth in the table, and have won four of their respective five matches this campaign.